Since UT Southwestern Medical Center’s Liver Transplant Program began in 2007, we have performed over 400 liver transplants. Each year we’ve increased our transplant volume. Because our Liver Transplant Program is certified by the Centers for Medicare & Medicaid Services, our world-class care is available to a broad range of patients. Working closely with other transplant teams at UT Southwestern, we are also able to perform multi-organ transplants when necessary. For example, in 2016 we performed a rare liver-lung transplant – the first in North Texas. We also offer expedited patient evaluation, usually seeing patients in less than seven days. The liver transplant process includes multiple phases, each of which is part of a synergetic program of care focused on a single, overall goal: the delivery of exceptional outcomes to patients, their families, and referring physicians. 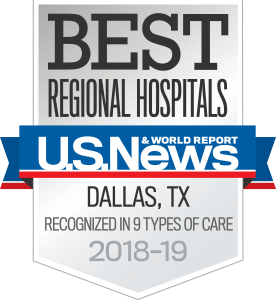 UT Southwestern Medical Center’s liver transplantation program has a reputation for innovations and outcomes that are among the best in the country. UT Southwestern’s experienced Liver Transplant team uses state-of-the-art techniques and technologies to help patients with end-stage liver failure. Our integrated, multidisciplinary team of experts works together to provide an unparalleled level of seamless, patient-focused care. In fact, the program has a three-year patient survival rate that surpasses the national average. We see patients with a number of liver conditions. Although many of these conditions can potentially lead to a liver transplant, our liver experts do everything they can to treat the underlying liver condition without a transplant. Left untreated, chronic liver disease, as well as serious, sudden-onset liver conditions, can lead to liver failure. Some of our patients start seeing us because of signs and symptoms of liver disease, while others are referred in the late stages of liver failure. Because our team often sees patients from the early stages of their liver disease, transplantation outcomes are good. The decision to perform a liver transplant depends on many factors. These include patients’ overall health, the severity of their liver condition, the availability of suitable donor livers, and patient preferences and treatment goals. 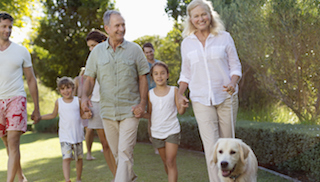 Our liver experts partner with patients and their families to choose the most appropriate treatment. Ongoing research is vital to the success of our program. As an academic medical center, we participate in clinical trials and other research aimed at improving patient care and outcomes. We are currently evaluating new technologies to treat liver disease and transplant patients, and we’re investigating novel ways to increase the number of healthy donor livers so that we can help more people. Clinical trials help patients access the most promising new treatments before they are available to the public. If you have liver disease, talk with your doctor to find out if taking part in a clinical trial might be right for you. 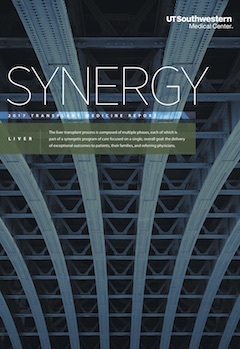 UT Southwestern’s Liver Transplant program is made up of a team of skilled surgeons, hepatologists (liver doctors), intensive care doctors, infectious disease doctors, endocrinologists, imaging experts, nurses, transplant coordinators, social workers, psychologists, dietitians, pharmacists, financial coordinators, and other specialists who work side by side. 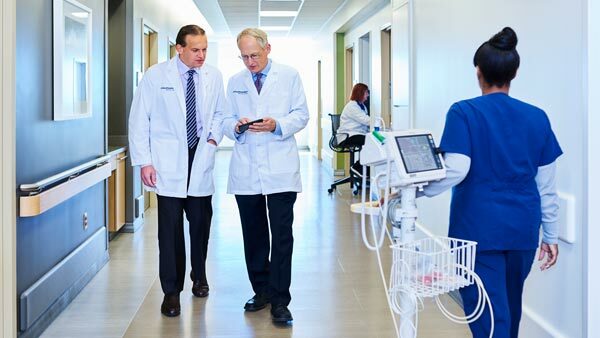 In many cases, our team also works closely with UT Southwestern cardiologists (heart doctors), pulmonologists (lung doctors), nephrologists (kidney doctors), and other specialized physicians. Our team’s multifaceted expertise enables us to deliver the comprehensive, integrated care that helps patients achieve the best possible outcomes. Liver Transplant team members work together to provide ongoing medical management and simplify every step of the process – from support for patients awaiting liver transplants to comprehensive outpatient treatment of transplant recipients. For our patients’ convenience, we have satellite clinics in Austin, El Paso, Fort Worth, and Lubbock that deliver both pre- and post-transplant care for patients throughout Texas. Post-transplant outpatient treatment includes infection prevention, immunosuppression management, and long-term monitoring and care. Download our liver transplantation referral form.